Looking ahead to what promises to be a spine-tingling experience – Volkswagen travels to the Rally Portugal with fond memories of the event. Sébastien Ogier/Julien Ingrassia (F/F), Jari-Matti Latvala/Miikka Anttila (FIN/FIN) and Andreas Mikkelsen/Anders Jæger (N/N) are undefeated since 2013 with the Polo R WRC at round five of the FIA World Rally Championship (WRC), which takes place from 19 to 22 May 2016. Last year, Volkswagen claimed a one-two-three here and finished first, second and third on the Power Stage to become the first manufacturer to score a maximum 122 points. 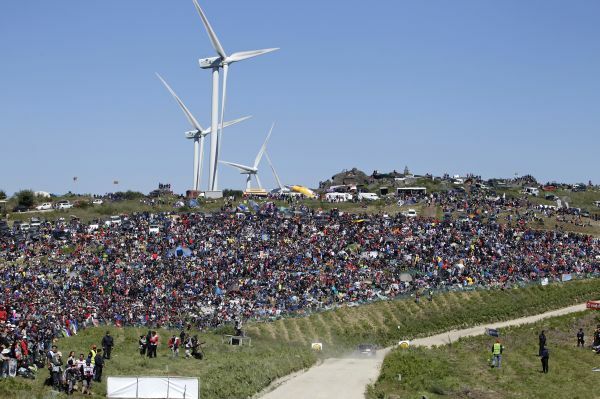 Points aside, the passionate fans in the north of Portugal traditionally provide an extra boost of adrenalin – particularly at the infamous jump on the “Fafe” special stage, which tens of thousands of fans transform into a rally festival each year. 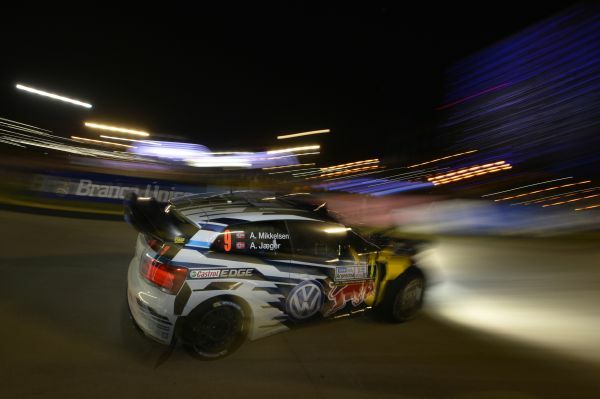 “A one-two-three last year, plus the top three times on the Power Stage – a year ago, we enjoyed the most successful rally to date with the Polo R WRC in Portugal,” said Volkswagen Motorsport Director Jost Capito. “It is not every day you score maximum points in the World Rally Championship – and this season has already shown emphatically just how exciting the rallies are, most recently in Argentina. A hard, dry clay surface, topped with loose sand – the drivers face a challenging mix at the Rally Portugal in the region around Porto. The rule of thumb for the state of the route: if it is dry, the later-starting World Rally Cars benefit, because the grip levels increase as the loose sand is swept from the road. In contrast, the early starters stand to benefit if it rains. Either way, the current World Championship standings mean Volkswagen has all bases covered in terms of starting positions. Sébastien Ogier/Julien Ingrassia open the route as World Championship leaders, while Andreas Mikkelsen/Anders Jæger start fourth and last year’s winners Jari-Matti Latvala/Miikka Anttila are sixth onto the route. This also adds extra spice to the tight four-way battle for second place in the Drivers’ and Co-Drivers’ Championship: as well as Hayden Paddon/John Kennard (NZ/NZ, Hyundai), the current runners-up in the overall standings, Mads Østberg/Ola Fløene (N/N, M-Sport-Ford), Andreas Mikkelsen/Anders Jæger and Dani Sordo/Marc Martí (E/E, Hyundai) are also hungry to take their place at the head of the chasing pack. These four pairings are currently separated by just 13 points. The return of rivals Citröen, making their first appearance on gravel of 2016, will only add to the excitement. Not only do they have a fast duo in Kris Meeke/Paul Nagle (GB/IRL), but can also look forward to what at first glance looks like the ideal starting position. Fans can also look forward to a repeat of Argentina’s battle between Ogier and Paddon, who are both first onto the route this time out. 361.48 kilometres are identical, 6.52 kilometres are new – 98.23 per cent of the route for the 2016 Rally Portugal is the same as the 2015 race. 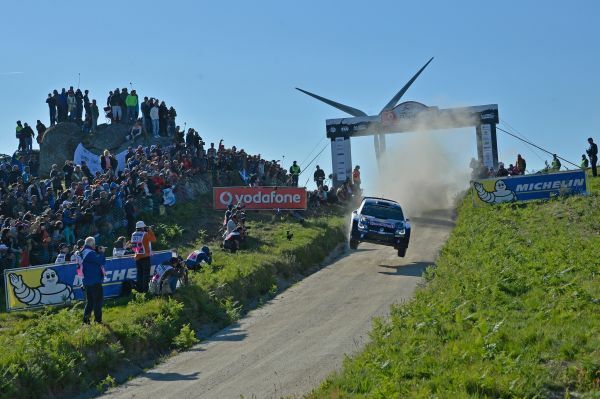 The changes can be summed up in a nutshell: as well as the new “Porto Street Stage” spectator stage, which is 1.85 kilometres long and tackled twice, the final 1.41 kilometres of the 22.47-kilometre “Vieira do Minho”, which winds between massive crags and is also run twice, are also new. The remaining 15 special stages are unchanged from last year. These include some real classics: the 27.44-kilometre “Ponte de Lima” and “Amarante” – at 37.67 kilometres against the clock, the longest stage of the rally. 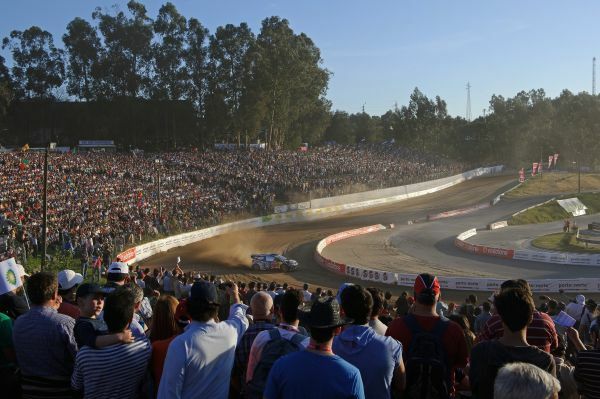 The “Lousada” stage, on the Rallycross track, is particularly spectator-friendly. The icing on the cake is Sunday’s spectacular “Fafe” stage: the final 11.19 kilometres of the rally form the Power Stage, which will be broadcast live on TV. the “Fafe” special stage produces the iconic images of the Rally Portugal. Few other places attract such a large gathering of drift fans. Few other winding stretches of gravel in the WRC set the pulses of rally drivers and co-drivers racing like this. It is with good reason that the 11.19-kilometre stage also forms the closing Power Stage, on which extra points are up for grabs for the top three driver/co-driver pairings. it is impossible to score more points with three cars. Volkswagen became the first manufacturer in the World Rally Championship to achieve this maximum points haul at the 2015 Rally Portugal. A fond memory, which serves as an extra dose of motivation for 2016.